Many people dream of being their own boss. You’ve probably encountered a good number of them in your lifetime, and you may well work with several of them right now. They seem to be especially prevalent amongst the professional peers I work on projects with, and more so still on the IT side where a lot of the project managers and business analysts I work with are actually contractors who are their own boss. People have this dream for many reasons. Some are extremely valid, like a desire to increase your project experience by working on projects for multiple organizations across different industries, but there seems to be a lot of people who want to be their own boss just so they can escape their existing tyrannical boss, long hours, and unmanageable workload. The problems they’re trying to escape are brought about by their approach to work, and the unfortunate other side of that double-edged sword is that if they’ve been unable to change their approach, they won’t do well as their own boss either. 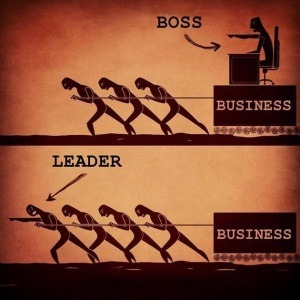 I don’t have a boss, I have a leader. I’m lucky in that I have a great one, but leadership as a discipline, a science, an art, and a skillset is hardly a new idea, so frankly if the person above you in the org-chart isn’t one then you probably should escape. You don’t need direct reports to be a leader and if that individual didn’t develop leadership attributes before they got some (you) then that’s a problem. My boss, by most of the definitions of the word, is already me. As usual, what I’m talking about here is ROWE - the results only work environment. This is how entrepreneurs and freelancers live. Talk to successful self-employed people and they will describe days that are full but not hectic, that mix personal with professional in a way that is almost seamless. Thinking like an entrepreneur (or acting like I’m my own boss, if you’d prefer to put it that way) has become very important to the way that I work, especially if I’m particularly busy like I was last week. If you’re talking about the old-school working environment of old then you’re answerable to your boss for your actions - not just what you do, but how you do it. That’s why being your own boss is so attractive to people if they’re unfortunate enough to be in that situation. If you’re self-employed then you’re answerable only for your output - what you do - although you are answerable in a big way because your livelihood depends upon it. You’re answerable to yourself, to your customers, and to your employees if you have any. I, too, am answerable only for my output, and guess what? My livelihood depends upon it too. If my output isn’t up to scratch I get fired, and so I should. Sure, there’s somebody above me on the org-chart and that might be who I’m primarily answerable to (or at least that’s who would do any firing that proved necessary), but that really makes no difference. I have all of the freedom of being an entrepreneur coupled with all the benefits that come from being part of a large organization with great leaders to support and guide me. Why would I want it any other way?